Digital technologies have completely transformed modern dentistry. Not only have these systems aided and encouraged better outcomes, more precise workflows and swifter results, but they have also made significant differences to patients and professionals alike in terms of comfort and ease of use. In the current orthodontic arena, a fully digital workflow has become a necessity rather than a luxury. These systems play a key role in every step of the orthodontic journey, including the diagnostic process, treatment planning, digital set ups and, in many cases, customised appliance manufacturing. As such, it is necessary for professionals to take advantage of these systems and reap the full benefit. 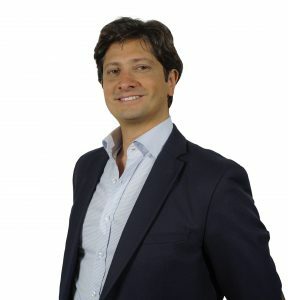 Dr Paolo Manzo, a leading orthodontist from Italy, will be presenting his thoughts on digital systems and how they can benefit both patients and professionals in a session at Excellere 2019, hosted by 3M Oral Care. Entitled “Integrated treatment planning in the Digital Age” this session is a perfect opportunity for orthodontists and postgraduates to consider all the advantages of digital technologies. “In my session at Excellere 2019, I really want to highlight the importance of working with digital technologies and how they can benefit clinicians throughout every stage of treatment. Before the introduction of technologies such as CBCT machines we had to rely on 2D images during the diagnostic process. The introduction of 3D imaging has revolutionised treatment in many ways and now professionals can use these solutions to improve diagnosis and outcomes. Dr Paolo Manzo will be presenting how digital technologies have helped to encourage reliable outcomes. “I want to show how to work with digital technologies and the effect this can have on final results, focusing also on the interdisciplinary approach. “Reliability in treatment is so important and by using digital technologies we can really improve the predictability of treatment. Dr Manzo’s session is just one of the unique educational seminars taking place at Excellere 2019. The diverse programme of seminars will be led by high profile orthodontic specialists who have travelled across the world to impart their knowledge on certain subjects, making it a must-attend event for those looking to gain a global viewpoint on the current state of orthodontics. Held in 8 Northumberland Avenue in central London, the event will also see a special series of sessions focused on lingual appliances for delegates who want to learn more about these devices and how to use them in a wide array of indications. Excellere 2019 takes place in London on 17thand 18thMay.